Period: 1860 Location: The Private Collector, Inc.
Period: 1830-50 Location: The Private Collector, Inc. 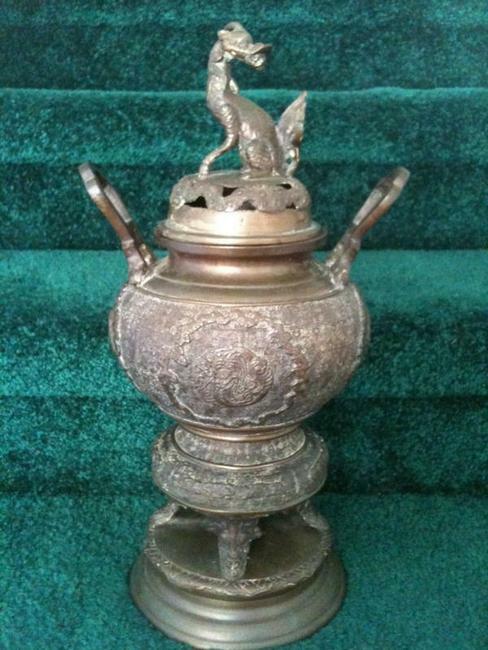 Description: Chinese Bronze Incense Burner dating from the late 1800s. 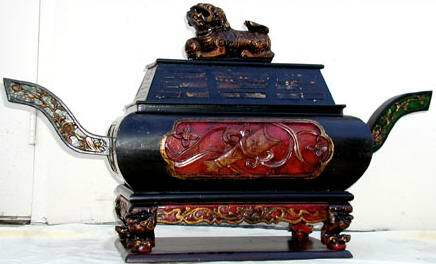 With Foo Dog finial, the piece has designs at all angles, and measures 6" in ht, and 4 3/4" across. 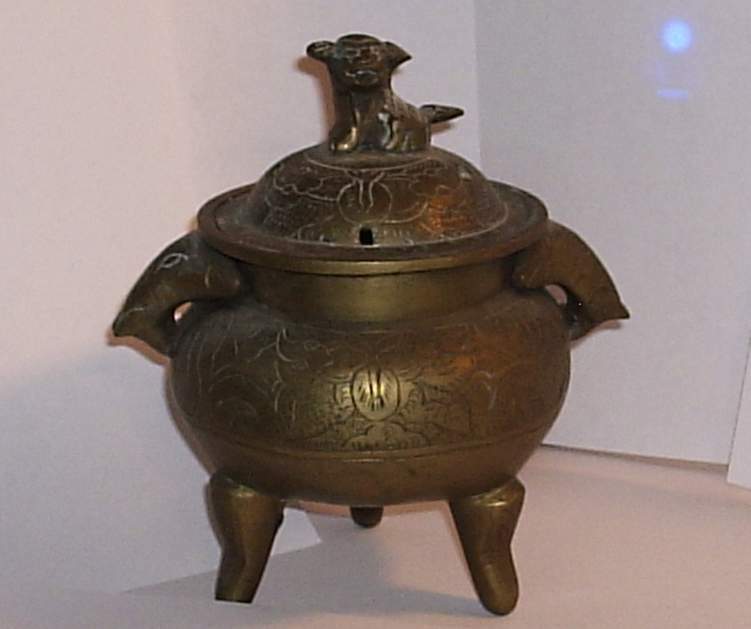 Description: This incense burner has a puppy finial and the handles are elephant heads. 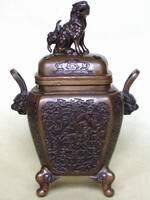 There is Chinese script on the underneath. 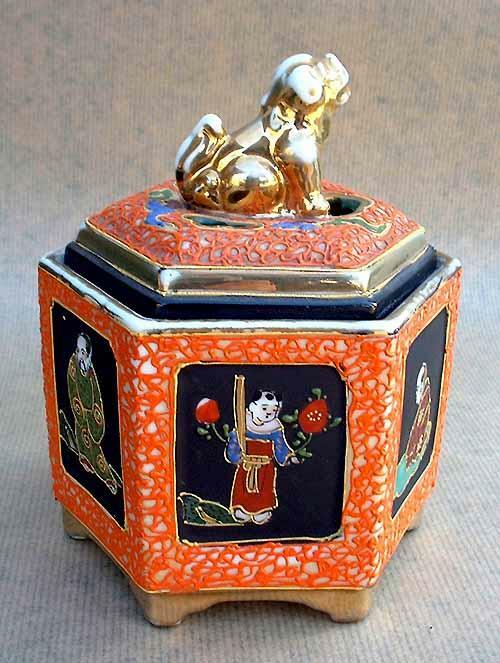 It has three legs, intricate engraving all over the lid, and a wide band of engraving all around the body of the pot. 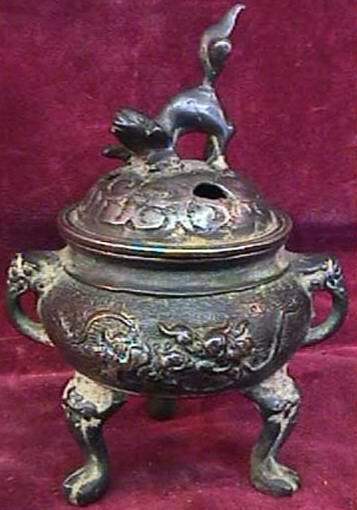 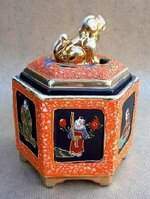 Description: Incense burner with a dog sitting on the lid. 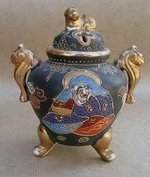 Oriental or Asian.